Did you know your drug insurance plan’s co-pay may not be the lowest possible out of pocket cost? A drug discount card, a Pharmacy Discount Plan, or a pharmaceutical company’s discount coupon might be a better option. I’ve learned the hard way that my Medicare Part D drug plan co-pay is NOT ALWAYS the lowest price! After a recent flu diagnosis I was given a prescription for generic Tamiflu. When I filled the script at CVS, the preferred pharmacy of my Part D drug plan, I was astonished to learn that the co-pay was $110. While at my doctor’s office I picked up a GoodRx discount card and now I decided to do some research. First, I checked the GoodRx website (www.goodrx.com). To find the cost of generic Tamiflu, I carefully searched the “Search Drug Prices” box for the exact drug name, strength and number of pills. I was quite surprised to see that it came to around $63, a substantial reduction ($47.00) from my drug plan co-pay. I called CVS to complain and was told I could come back to the pharmacy for a refund. CVS proceeded to refund the original transaction and fill the script using the free GoodRx app on my smartphone. At this point I decided to learn more. What is GoodRx and how can they offer pricing lower than my Medicare drug plan? GoodRx calls itself a marketing company and offers “discount cards”, often found at pharmacies and doctors’ offices. GoodRx is not insurance and it is free. They offer online pricing in real time for thousands of drugs at every major US pharmacy chain. On their website GoodRx claims to have saved patients more than $2 billion. GoodRx is perhaps the leader in the drug discount card field but there are many others, including Singlecare, https://www.singlecare.com/ and the Discount Drug Network https://www.discountdrugnetwork.com My doctor recommends Blink https://www.blinkhealth.com/, which has a price match guarantee for generic drugs. Many savings cards also provide discounts on vitamins and over-the-counter medicines not covered by insurance. 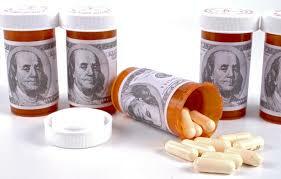 Saving money on prescription drugs is a challenge for all of us. Rarely does a day go by without an article about the rising cost of generics and price gouging by drug companies. 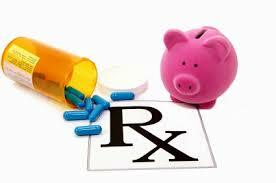 I learned there are other ways to save, including pharmacy chain discount plans. For example, Rite Aid offers a plan. The Rite-Aid Rx Savings Program offers certain generic medications at $9.99 for up to a 30-day supply and $15.99 for a 90-day supply. This may be cheaper than using your Medicare drug plan. The pharmacy is not obligated to advise you of their lowest price option. You may have just been prescribed a generic medicine that Rite Aid offers to cash customers for $9.99 a month, while the Medicare Part D plan on file for you has a $25 co-pay. You must ask about price alternatives each time you fill a prescription. The moral here is that it pays to shop around. Prices change constantly and may vary at competing pharmacies by hundreds of dollars. GoodRx worked for me in this instance but other drug discount plans may work better for you. The research takes time, but if your drug plan co-pay looks high to you, researching other options could produce a better result.